You wake up with a splitting headache and jaw pain. This is the fourth time it’s happened this month, and it’s not a fun way to start your day. This seem to be happening more frequently, and you’re not sure why. Could you be grinding your teeth in Bay Shore? Here are some of the signs to look for. Excessive wear or other damage to your teeth such as fractures or cracks. Frequent headaches or migraines, especially in the morning. Pain or tenderness in your face, jaw, neck, or shoulders. 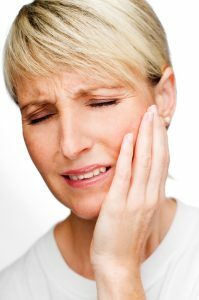 Problems with your jaw joint such as clicking, popping, pain, or locking upon opening or closing. Your bed partner, who might hear the strange, yet loud sound that grinding your teeth can produce, may also identify teeth grinding. If you suspect that you might suffer from bruxism in Bay Shore, there are some things you can do and your team at East Islip Dental Care can help! We’ll start with a thorough examination, and if it seems that you are indeed suffering from bruxism, we’ll create a customized oral appliance, or nightguard for you to wear at night while you sleep. Each nightguard is unique and created specifically for each patients’ individual needs. They’re comfortable to wear and they don’t interfere with your sleep. For most patients, wearing a guard at night is enough to effectively manage their bruxism and alleviate their symptoms. For those patients still experiencing pain, we can recommend alternative therapies that may also work in conjunction with your oral appliance. If your teeth have sustained fractures, or wear, we can discuss your options for repair and your nightguard can help protect your teeth from further damage. To learn more about bruxism, or determine if you suffer from it, give your team at East Islip Dental Care a call today to schedule your examination.